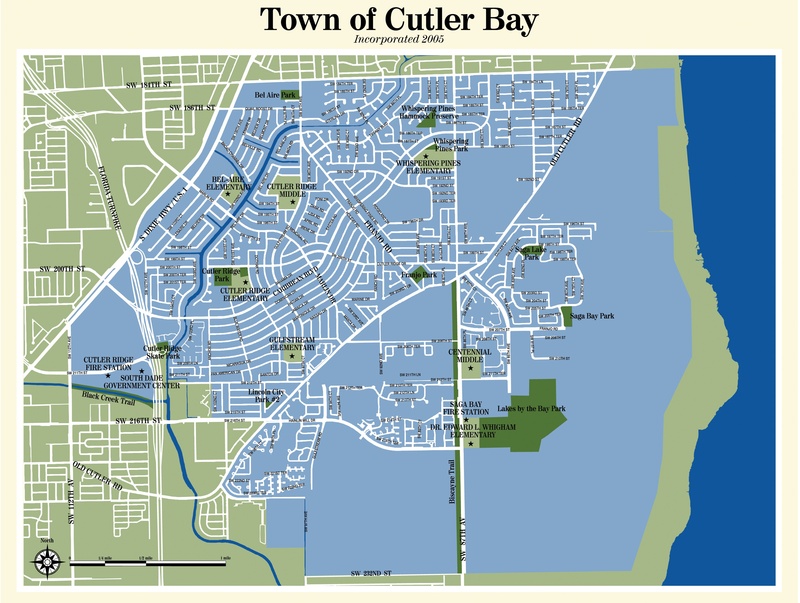 cutlerbay.net is an independent community website providing news, events, and other information to the residents of the Town of Cutler Bay, Florida. Click here to subscribe to our newsletter. Did you know that the Town of Cutler Bay can issue a fine to residents who are watering their lawn when they are not supposed to? The penalties are as follows: First violation - warning. Second violation - $50.00 fine. Third violation - $125.00 fine. Forth violation - $250.00 fine. Fifth and subsequent violations - $400.00 fines. So when can you water? Odd-numbered addresses may water on Wednesdays and Saturdays. Even- numbered addresses on Thursdays and Sundays. Watering is allowed from 4pm to 10am. Watering is prohibited between 10am and 4pm. How safe is your community or street? Find out where crimes are taking place by visiting crimemapping.com. Is a sexual offender or predator living near you? Visit this miamidade.gov website to find out. For more information about the town's charter, agendas, ordinances, how to contact town officials, the town's website, and more, visit our Cutler Bay Government page. Meetings are scheduled for the 3rd Wednesday of each month, (meeting begins at 7pm proclamations at 6:30). The meeting take place at Cutler Bay Town Hall, located at 10720 Caribbean Boulevard. You can read the agenda when available at cutlerbay.legistar.com. Cutler Bay council meetings and workshops can now be listened to "live" as they are taking place. Visit cutlerbay.legistar.com/Calendar during the meeting and click on the words “in progress”. Past meeting agendas and audio are available from this same link. Find the Cheapest Local Gas Prices. Please send us any comments or suggestions. Stay informed about local news and events. Subscribe to our newsletter.